Board selection for both publicly and privately-owned companies has become more complex due to SOX and other potential liability issues. 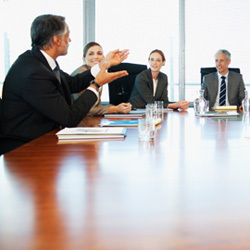 We assist board chairs and nomination committees with determining the functional skills, industry sectors, and strategic relationships needed to move the organization forward in its strategic plan. We help build the roadmap to bringing in innovative and strategic lift to the organization through strong and integrated board member selection.